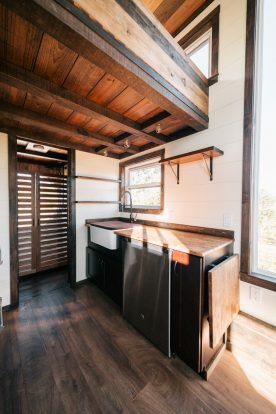 Here’s one for the boys. 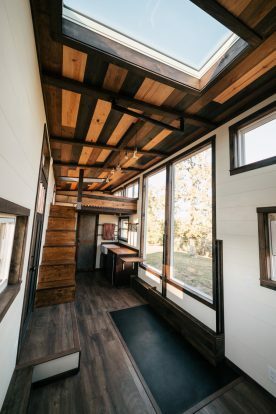 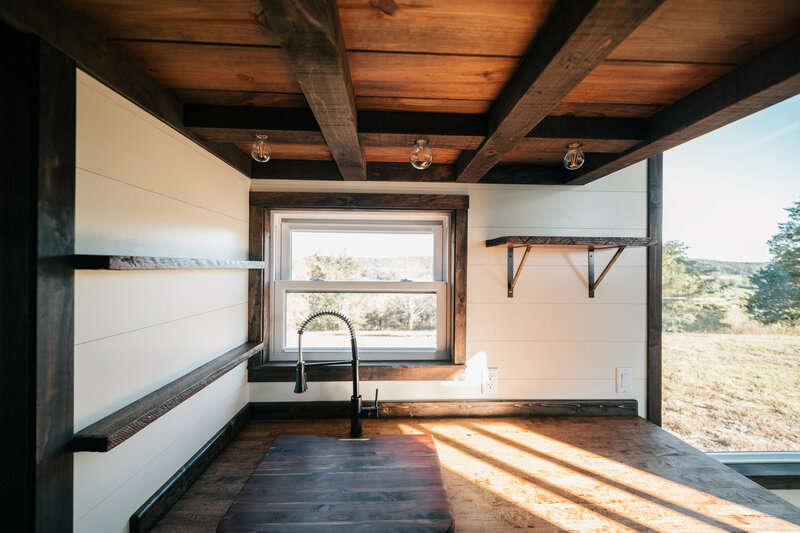 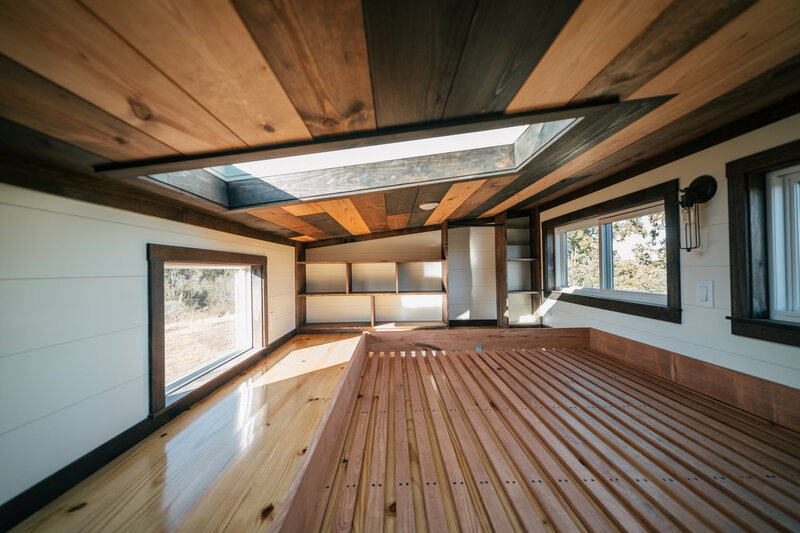 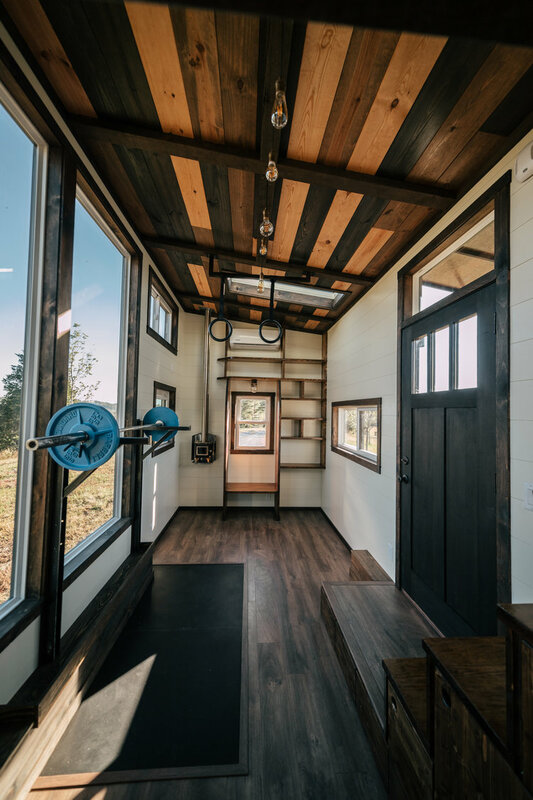 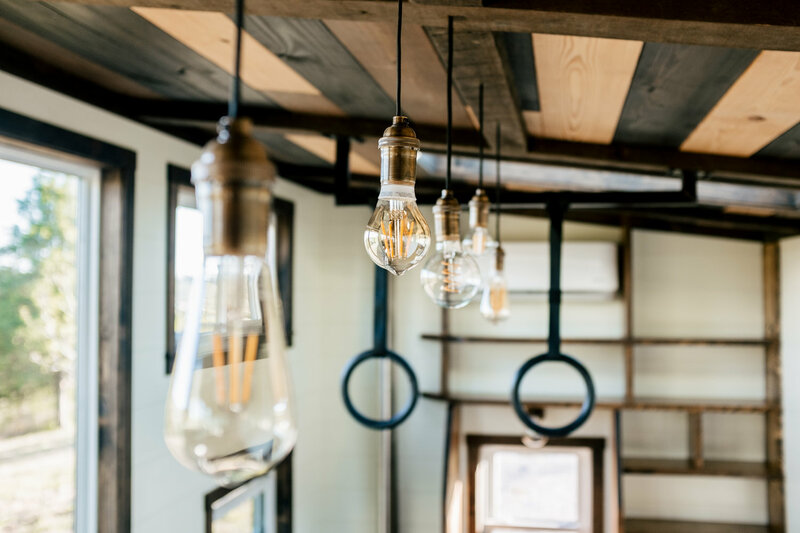 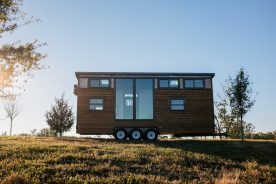 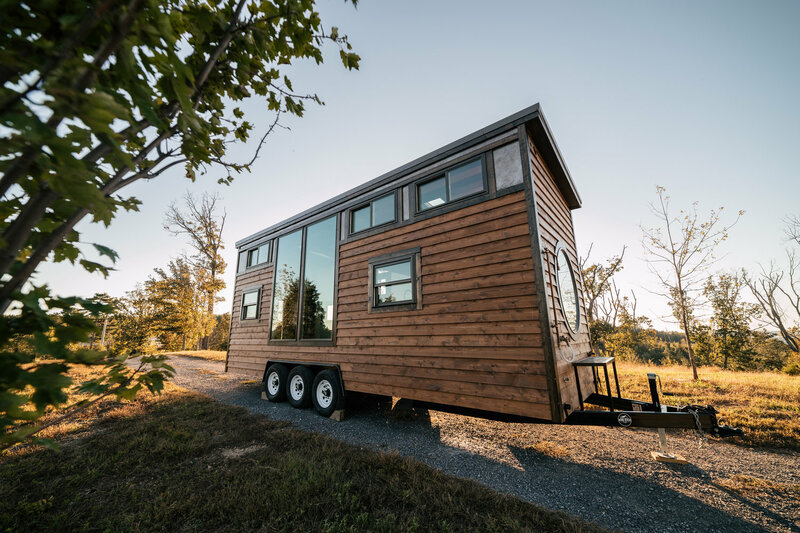 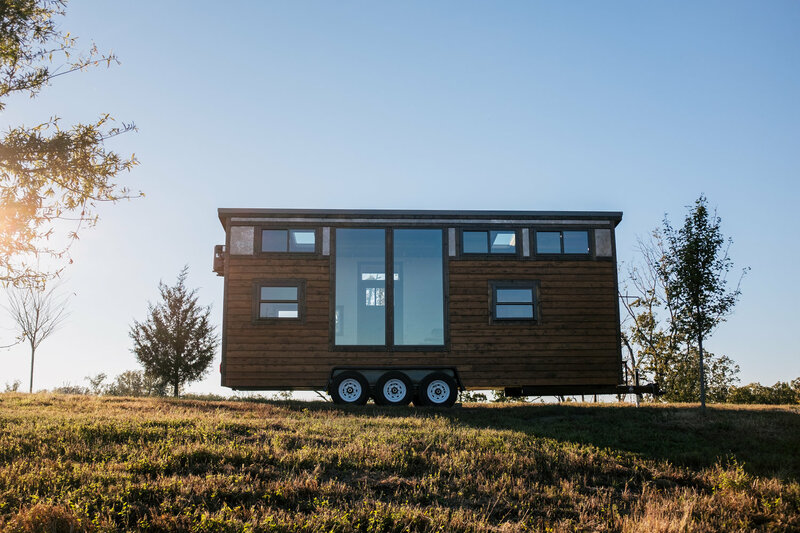 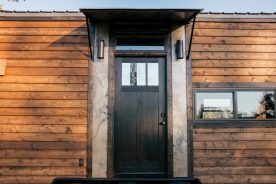 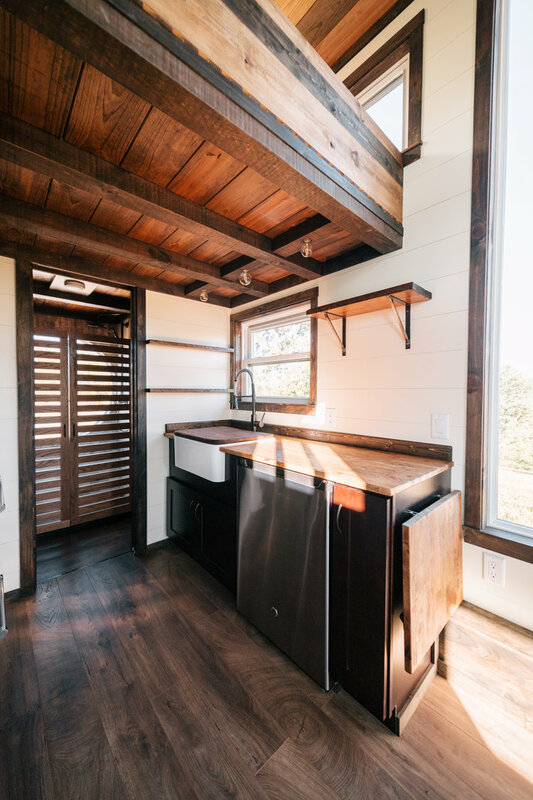 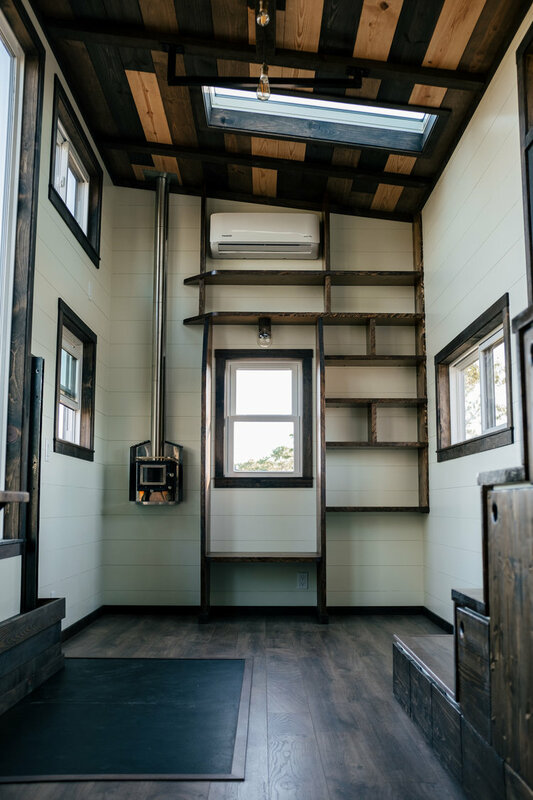 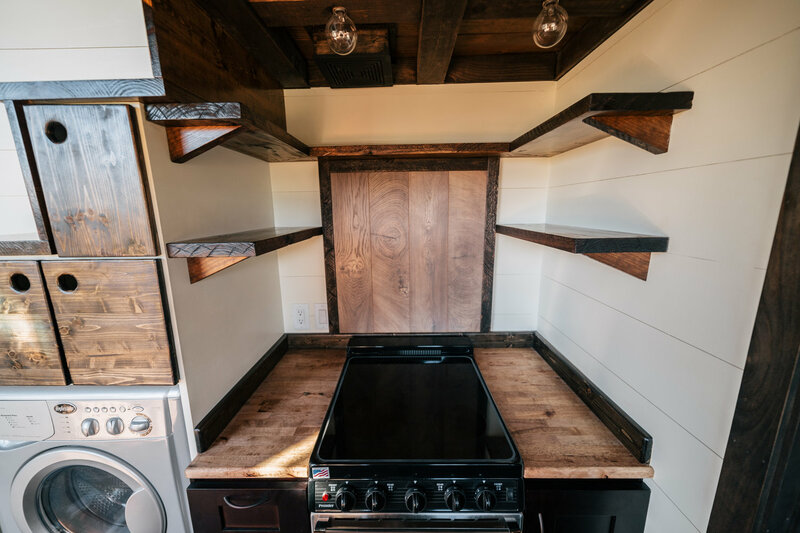 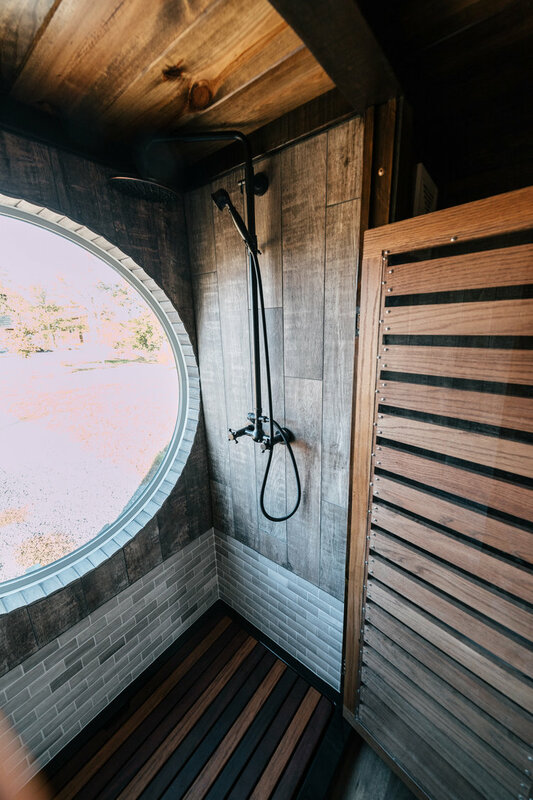 Wind River Tiny Homes created this super masculine tiny home complete with weight bench and pull up rings. 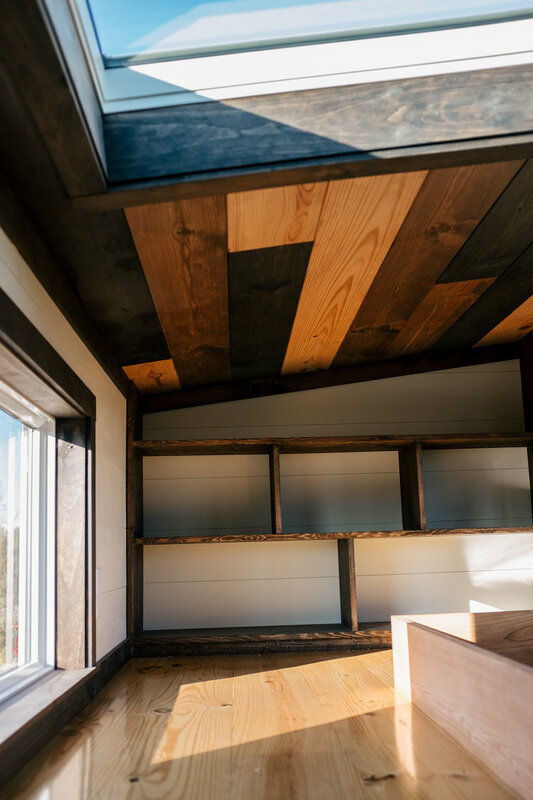 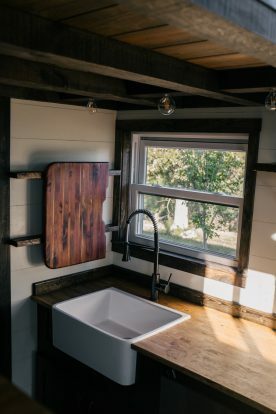 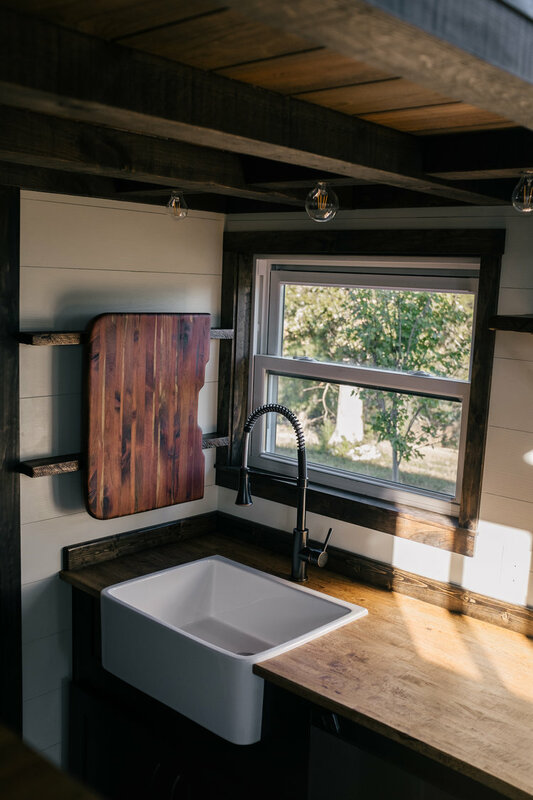 Love all the dark wood, metal and industrial elements inside and out. 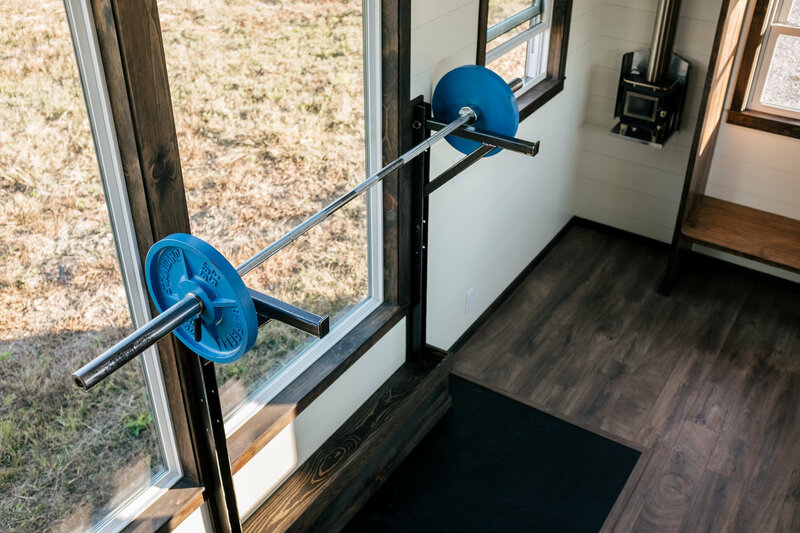 No need for a gym membership while you are on the road. 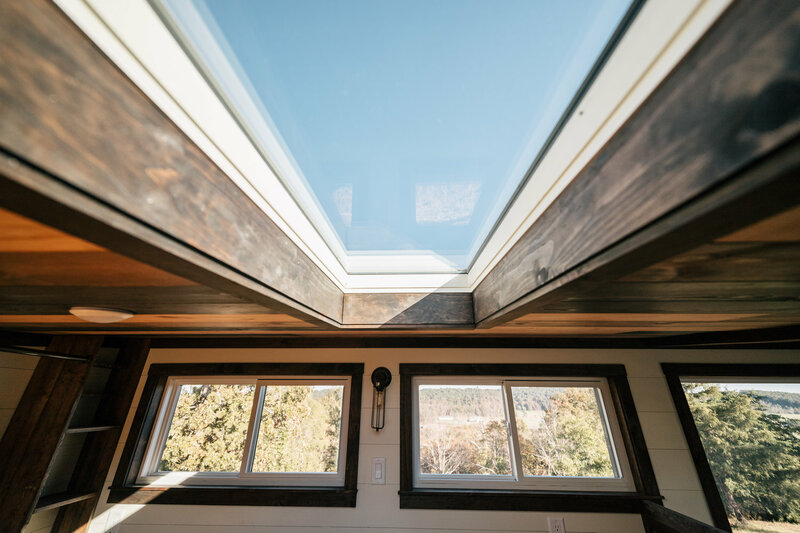 And those beautiful windows will inspire you to take your workout outside. 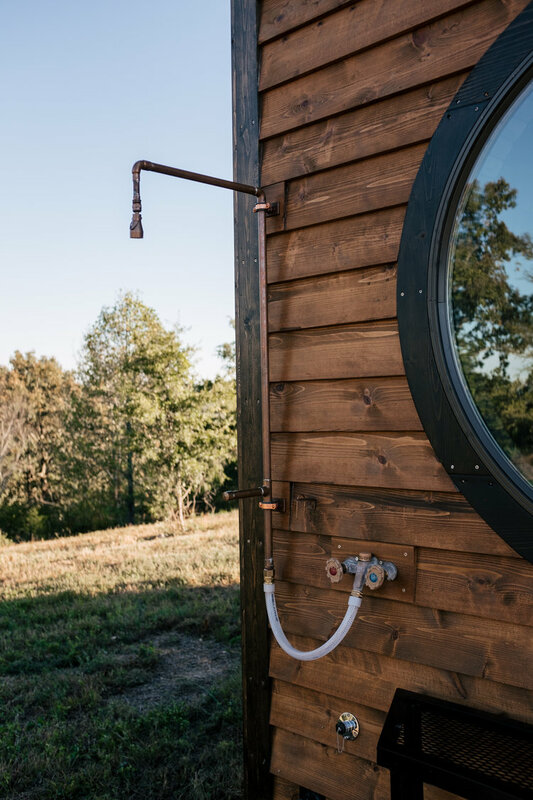 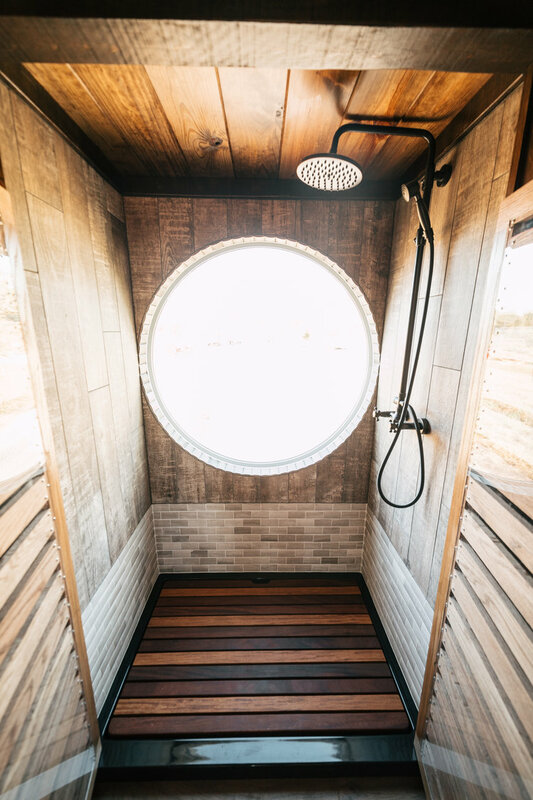 Don’t forget to shower off in the outside copper shower.